Madani had asserted that Assam would burn and there would be killings and retaliation if 50 lakh Muslims of the state are declared illegal immigrants. GUWAHATI: A police team from Assam has left for the national capital on Friday to conduct a probe into a case of Jamiat Ulema-e-Hind chief Maulana Syed Arshad Madani allegedly making spiteful comments during a meeting in New Delhi, director general of police Mukesh Sahay said. If required, the team would also interrogate the Jamiat chief, he said. During a press conference and a meeting which was organised under the banner of Delhi Action Committee for Assam (DACA) in New Delhi on Monday, Madani had asserted that Assam would burn and there would be killings and retaliation if 50 lakh Muslims of the state are declared illegal immigrants following the ongoing updation of National Register of Citizens (NRC). According to police, FIRs have been lodged by some organisations at different police stations in the Assam capital against Madani. “Right now, our first job is to collect the originals of (that day’s) deliberations. What we have seen so far are media reports. Investigation can’t be conducted solely based on that basis. “We have to see who organised the meeting, who paid for it, who invited people etc. We will also go through video footage of his (Madani) statement,” Sahay said. “For years, the people in Assam have been living peacefully. Now, an attempt is being made to destroy that communal amity. Ninety nine per cent of Muslims in Assam have documents to establish that they are genuine Indians. 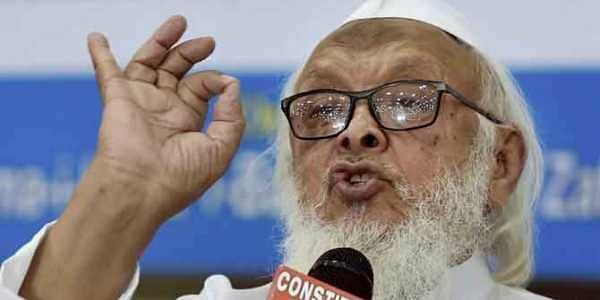 Assam will burn if their nationality is snatched away,” Madani warned. He accused the government of trying to create a Myanmar-like situation in Assam.